6 Key Warehouse Label Performance Factors | ID Label Inc.
Are you investigating options for new custom warehouse barcode labels? Perhaps your DC is preparing for a WMS upgrade. Or you need to replace old rack labels that are damaged, peeling and fading. Or maybe you’ve got a new facility with a looming go-live date. 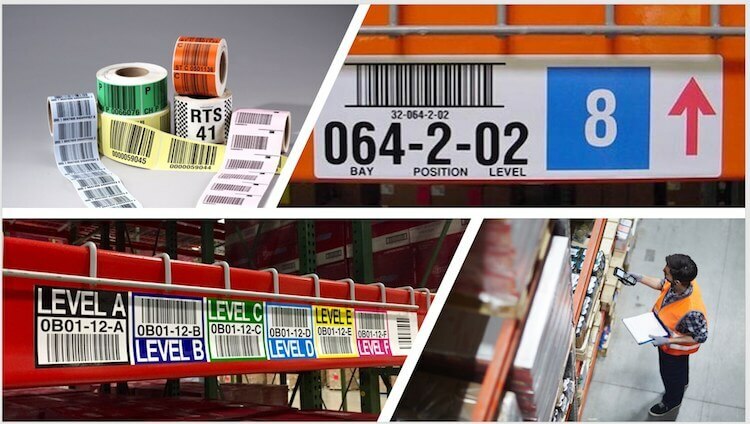 Barcode labels are a critical component of your inventory management system, but how can you be sure your labels are right for your environment and application? And how do you compare what one vendor is quoting versus another? 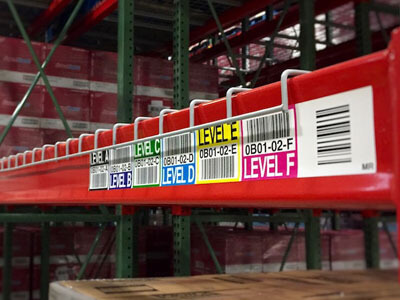 “It’s critical that a label vendor understands the operational conditions of your warehouse or DC before they recommend an appropriate solution for your needs,” said ID Label CEO Neil Johnston. 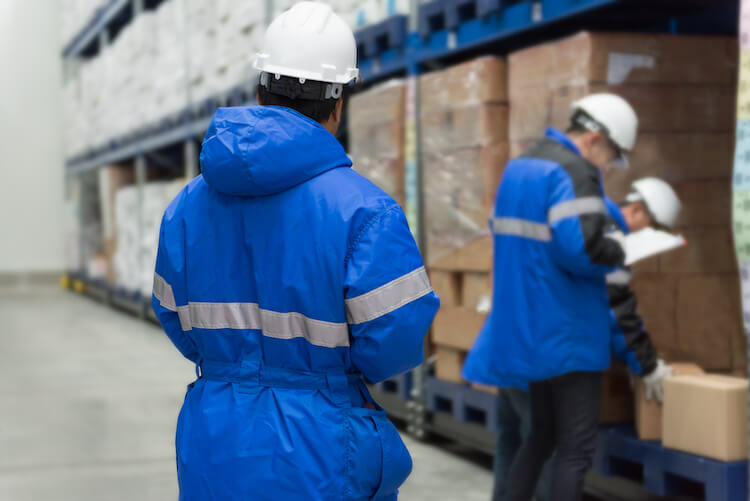 It’s critical that your label vendor understands the operational conditions of your warehouse or DC before they recommend an appropriate solution for your needs. According to Johnston, it’s imperative to answer the following questions to determine the right barcode labeling solution. 1. What kind of surface will the labels be applied to? The wrong construction can lead to peeling, wrinkling or failure. And that can mean the difference between a durable, long-lasting, high-performance label versus one that triggers scan errors and hinders worker productivity. 2. 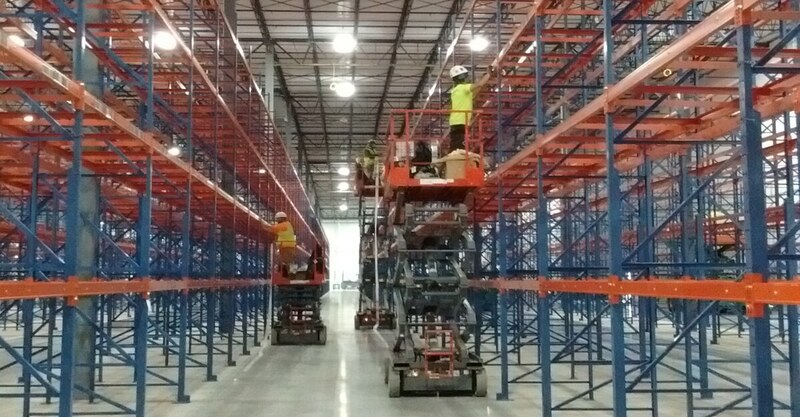 What condition is the racking system in? If you’re relabeling racks that have been in service for a while, they are likely to contain grime, grease and dust, and perhaps areas where the paint is scratched or peeling. Without preparation and treatment, labels applied to these conditions are more likely to fail – potentially soon after installation. What about the old barcode labels? To avoid the time-consuming task of scraping and removing old barcode labels prior to relabeling, ID Label’s Beam Renew™ cover-up solution is often recommended. Its durable construction features an opaque metalized adhesive backside for 100 percent cover-up. And it easily applies over dingy warehouse beams or damaged barcode labels to keep beams looking clean and new. 3. Will your new labels be used inside or outdoors? ID Label’s advanced digital inkjet technology uses specialty UV-resistant inks and laminates to protect barcode labels from harsh temperatures and conditions. 4. Will the labels be used in a cold or freezer environment? If so, at what temperatures will they be applied? It’s important to know if the labels will be installed in a new facility prior to temperature draw down or in an active freezer environment. Some adhesives may, for instance, perform well at -20 degrees but might be recommended for installation at -10F or warmer. For these reasons and others, magnetic labels are often an excellent choice in freezer locations. 5. Are the labels liable to encounter daily bumps and scrapes from forklift trucks and pallet skids? 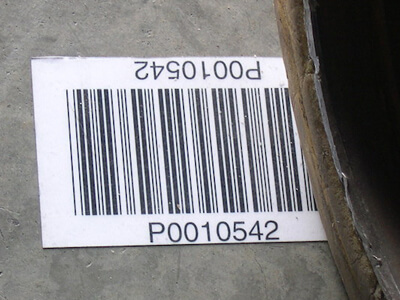 No matter how careful workers are, warehouse barcode labels will inevitably come in close contact with pallets, lift trucks and other traffic. Look for ultra-durable labels like ID Label’s BullsEye™ products. “Our custom-engineered BullsEye labels feature a super-strength protective coating to prevent tearing and damage to the barcode image,” Johnston said. 6. Will the labels come in contact with harsh cleaning solutions or high temperatures? In manufacturing facilities, laboratories, electronic component companies and similar environments, conditions can be extreme. There are several options for harsh-environment labeling. For instance, polyimide (Kapton) labels are WEEE and RoHS compliant and can withstand sustained temperatures up to 750F and flash temperatures up to 1000F. They can also withstand harsh thermal and chemical exposures and still provide reliable read rates. 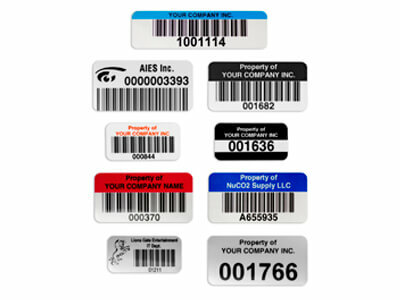 Anodized aluminum barcode tags are also an excellent choice for many harsh-environment applications. They are resistant to abrasions, industrial solvents and extreme temperatures, and feature high-tack adhesives for extreme durability. It’s critical to understand the above environmental factors to ensure your labels will perform to your requirements. That means accurate scans every time, regardless of the operational conditions of our facility.